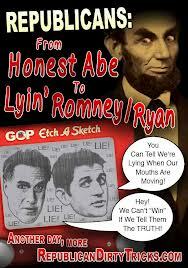 "The modern Republican Party finds its origins in the first post-Mexican War election, that of 1848 (1). The victory in the Mexican War had brought the nation a huge amount of new territory. The question of 'what to do' about the potential expansion of the institution of slavery into the new states that might be created from the conquest came very much, and very quickly, to the fore. The South, of course, which had seen limits placed on the expansion of slavery west (and north west) by the Missouri Compromise of 1820, wanted unlimited expansion. Opposed were two major forces: those that simply wanted to prevent the expansion into the territories and those that wanted not only the former but also wanted the abolition of slavery in the states in which it already existed. "Starting with the said election of 1848, both major national parties, the Democrats and the Whigs, were beginning to come apart at the seams over the above question. For 1848, the Whigs nominated a general, Zachary Taylor, who was a Southerner and who owned slaves. However, he did not own much of a public record on the major political question of the time. He won. Once in office, Taylor surprised just about everyone by taking a free-soil position for the Territories. However, by the 1854 mid-terms, out of the by-then accumulated Whig wreckage the Republican Party had been born. 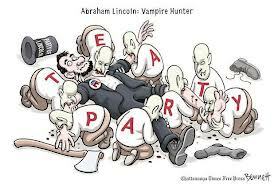 The history is very complex, which much movement backwards and forwards, but the Republican Party picked up four other pieces of the political pie of the time that eventually led to its victory in the four-way election of 1860. "One was the Abolitionists who wanted to rid the nation of slavery in its entirety. Second were the Free-Soilers, who simply wanted to ban the expansion of slavery into the territories. Third was a wing of the strongly anti-immigrant 'nativist' movement. (While some of these so-called “Know-Nothings” did join the Republicans, the rest was represented in the 1856 election by the American Party, which had as a principal platform plank requiring a 21-year wait for naturalization.) Fourth was the growing anti-alcohol temperance movement, which had achieved (a to-be short-lived) prohibition of a sort in a number of states in the 1850s. This wing, however, had a strong anti-immigrant flavor to it, for the Irish (whiskey) and the Germans (beer). 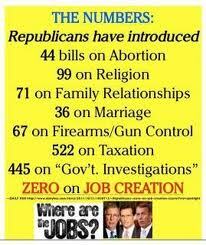 "So what does all of this have to do with the modern Republican Party, you might ask. 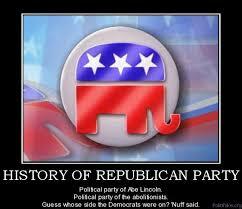 Didn’t it become the Party of Abolition with the nomination of Abraham Lincoln in 1860? Well, no. In the campaign of 1860, and into the start of the Civil War, Lincoln himself had made it clear that while he personally found slavery reprehensible, he was only determined to keep out of the Territories, not to abolish it in the South. The Emancipation Proclamation came later, and was the product of both domestic and foreign politics as much as anything. 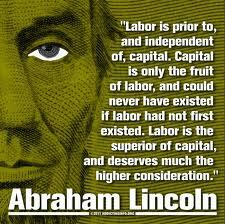 Lincoln, of course, just before the end of the War did ram through Congress the 13th Amendment, which abolished slavery, to be followed later by the civil rights 14th and 15th Amednments. But by the time the disputed election of 1876 came about, the Republican Party had abandoned any commitment to either civil rights or voting rights, thus making sure that for all intents and purposes, in the South the ancien regime would be re-established (2). "So what has the Party really stood for, over the years and how might this be traced back to its origins? Well, its principal component was the old Whig Party, which focused very much upon benefitting the up and coming industrial class by strongly supporting, for example, infra-structure building (Lincoln authorized the beginning of the construction of the first trans-continental railroad during the Civil War), a high-tariff wall against foreign manufactures, and expansion of opportunities for higher education at public expense, the 'Land-Grant' colleges. Thus the Whig Party was the party of 'big business' of its day, and thus by 1876 its successor, the Republican Party had so become again. As it still is today. The particular policies have changed --- the present-day GOP is firmly against any major Federal program to build/re-build infra-structure (holding out, of course, for privatization) --- but the 'big business' focus remains. "Nativism? Well, the GOP was pretty quiet during the period 1880-1910 when the major Italian-Jewish immigration was taking place, but by 1924 it had put in place very strong anti-immigration legislation. Of course, its modern anti-immigrant form is its position on Latinos (and by the way, the last thing the GOP wants to do is 'solve' the 'undocumented worker' problem. Doing so would deprive it of a major political issue that its white, racist base just loves to feed on). The Gingrich/Trump/Palin “American Exceptionalism” is another modern branch of original Republican nativism. As for the Temperance Movement, under Republican leadership that led to “Prohibition” of the 1920s and the 'Drug War' of the modern era. As for the Free-Soilers, while this topic deserves a column of its own (and will get one, somewhere down the road), growing capitalism could not use slave labor. It needed its workers to a) have some measure of education (denied to slaves), and b) to believe the almost never-achieved dream that 'they could make it too' and so put up with low wages and long hours. 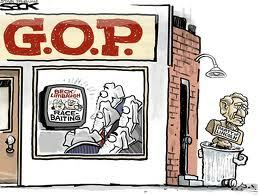 "So the modern Republican Party is no aberration. It very much reflects its roots (excluding of the course the Abolitionists). The aberrations in GOP history were the 'Radicals' (e.g., Thaddeus Stevens, Charles Sumner), of the immediate post-Civil War era who wanted to bring full justice and citizenship rights to the freed slaves, and the mid-twentieth century leaders, such as Dwight D. Eisenhower, who accepted the New Deal as a done deal, and simply wanted to make it somewhat more pro-business. (In 1954, Eisenhower, who also liked infra-structure construction, famously said: “Should any political party attempt to abolish social security, unemployment insurance, and eliminate labor laws and farm programs, you would not hear of that party again in our political history.” He was, of course, famously wrong, but he did say it.) As for the 'Tea Party,' it too is hardly an aberration. In terms of policy, they simply say out loud, in less polite language, what most of the rest of the modern GOP leadership thinks. "No, with few exceptions, since its founding the GOP has been the party of right-wing reaction and very much in touch with its historical origins. "1. McPherson, J., Battle Cry of Freedom, New York: Oxford University Press, 1988. "2. Foner, E., Reconstruction: America’s Unfinished Revolution, 1863-1877, New York: Harper and Row, 1988. "Steven Jonas, MD, MPH is a Professor of Preventive Medicine at Stony Brook University (NY) and author/co-author/editor/co-editor of over 30 books. In addition to being a columnist for BuzzFlash@Truthout he is the Managing Editor of and a Contributing Author to The Political Junkies for Progressive Democracy (http://thepoliticaljunkies.org/)." The "...modern Republican Party is no aberration." And the Republican Party, the front group for the Conservatives, has been losing elections by not hiding their secret ambition: the return to the Feudal Age and the years of the Inquisition - this time on the behalf of the Protestants, not the Catholic Church. The problems of the Party in the 21st Century are strategic, not philosophical. And the struggles of the GOP today are the fault of the leadership, as they formed the "Tea Party" as a vehicle to take control of Washington, D.C., but found that they had allowed the inmates to take over the asylum. As a verb, "sequester" means 'Isolate or hide away (someone or something), and we need to sequester Conservatism as quickly as possible before it's too late. With their weakness in the demographics and polling, the time has come to expose the GOP, their "think tanks," and their propagandists. 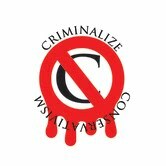 Conservatism must be criminalized. "I have never known any distress that an hour's reading did not relieve."